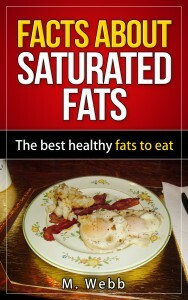 Saturated –saturated fat–what is that anyway? Our brain and body cannot survive without these fats. Our brain chemicals are manufactured from them. “Essential” fatty acids are dietary products that our body does not make for itself. Thus “essential”. They are found in butter and egg yolks. If you are over 50 years of age you may remember the decades long propaganda campaign against egg yolks and butter. Margarine is made from petroleum – oil! As is gasoline, plastic, and petroleum jelly. Whipped up to look yellow–voila we have fake butter! With no essential fatty acids for our brains to be fueled with. If I search the phrase “eliminate saturated fat completely” I see three articles that begin with the statement that there is no need to eat saturated fat because our body makes all we need. No, it does not “make” saturated fat. That is simply not true and I can’t believe these sites haven’t been called out on their information. One of them even has “MD” in its url, very misleading! I personally know someone who has lost 35 pounds in the last four months, eating a high fat diet. However, she only consumes grass fed milk and grass fed butter. She chooses grass fed meat products as well, and buys the highest fat content in ground beef. This person monitors her health clinically and is in no danger of heart disease from fats. Would this diet work for everybody? No. No diet works for everybody. Yet, some diets work for many. It is all right to try different diet programs if they involve fresh and real foods, not products made in a lab. My opinion only. 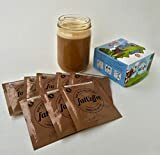 Bulletproof Coffee with its grass fed butter, and for some, coconut oil, is a great way to start the day and fuel your brain. It takes considerable searching to figure out your best diet. It also takes some searching to find a doctor who can help you with the right blood tests if you have food sensitivities or allergies that stop you from losing or gaining weight. If you consume dairy, try to get the best pasture fed butter and grass fed milk. I was in Jons supermarket the other day and counted half a dozen brands of delicious butter on the shelf. Here’s a short video about grass fed butter. Hey Nick thanks for leaving your feedback here! From everything I’ve read it seems that the hormones or hormone mimickers in commercial fats/meats can really mess up weight maintenance, not the actual fats. That’s important for peeps to know! Cheers! Yeah, you definitely want to consume the “grass-fed” versions of both meat and butter whenever you can, rather than the traditional, mass marketed stuff. The normal beef has so many hormones pumped into them that are pretty bad for your body. I guess a similar thing happened with the “idea” the saturated fats are “bad.” Companies with a big marketing budget tell you to buy their stuff instead. But your body absolutely needs saturated fats! Oh well, you just gotta educate yourself I guess. And I have actually tried Bulletproof Coffee myself. It’s pretty good! Even if it takes a little while to prepare in the mornings. Hi Darren – thanks so much for your comment here! Indeed, healthy fats and oils have been vilified by business interests for decades! It’s great to see a post that actually mentions the health benefits of fats and oils and how we need some of these in our diets to remain healthy and for our bodies and minds to function. So often every post you read of this topic just condemns fats and oils rather unfairly at times. Thanks for the great information here. It certainly was helpful and educational. Ches, thank you so much for taking time to leave your thoughts! There is so much information to read about healthy fats! It seems I can barely scratch the surface. I do intend to keep writing about this topic and have your advice in mind! Hi there and thanks for the informative post. Saturated fats such as butter and egg yolks, cococut oil etc., are vital for our health and when the hype about margarine over butter was in vogue, the margarine companies had a field day and still do. Seeds and eggs are the start of a new life, it’s obvious that they will contain everything to nurture the young plant or animal so by default IMHO, they must be good for you. I think most people don’t realize that food companies are in it for profits, not for your health. It’s up to you to research what’s good and what’s bad for you. I appreciate the feedback. Are you saying that the siterubix.com‘s will not rank well? Just wondering. Hi Erin! That’s a very good question, and it’s really important. Grass fed milk/butter/meats have a higher ratio of omega3 oils/omega 6 oils in the fat. To decrease inflammation in the body (cancer, joint pains, IBS, heart health and brain function) omega 3 fatty acid consumption is vital. Your post is very interesting as I am over 50 and have been conditioned to feel guilty whenever I eat butter and eggs. I am also old enough to remember when the Atkins diet was first introduced and people were losing a lot of weight by consuming high amounts of fat. What is the difference between grass fed and non-grass fed?